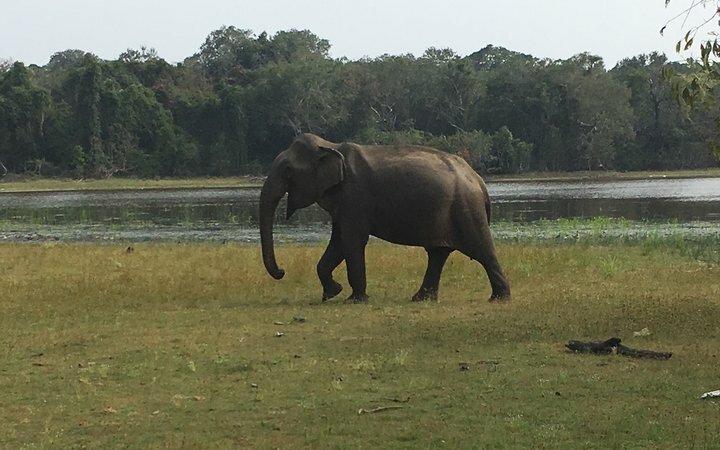 Sri Lanka was a fantastic, unforgettable experience from start to finish. Work the World provided a wealth of information. 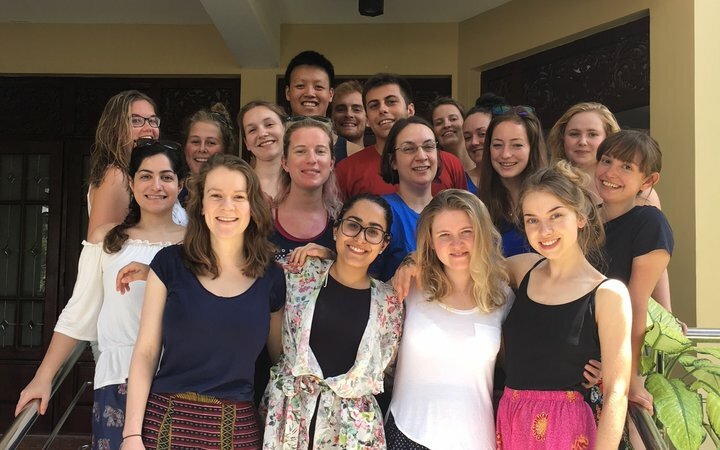 Things like what I should expect in Sri Lanka, language guides, information about the Work the World house I would be living in and who my housemates would be. The online placement planner was great as I could access detailed information about the hospital and the placement areas I chose. When we arrived in Sri Lanka, the friendly Work the World staff took us to the beautiful Work the World house next to Kandy lake. The next day, the Work the World team took us around Kandy—a city buzzing with life. They showed us where the banks were and helped us get local SIM cards for our phones. We explored the local markets which sold leather handbags, spices, beautiful silk sarees, and, of course, elephant trousers. I wanted to buy everything! On day two, the team took us to our placement hospital. They introduced us to all the staff we’d be spending time with and took us on a tour of the hospital itself. I found it fascinating to see how Sri Lanka and the UK differed when it came to treating these conditions. At the beginning I spent time in the General Medicine department. The sister in charge and the nurses were all friendly and welcoming to me. During my time there I got the chance to see patients with cardiovascular disease (one of the top causes of death in the country), those who had suffered strokes, diabetic patients and those with chronic kidney disease. There was even a ward that catered to dengue fever. I found it fascinating to see how Sri Lanka and the UK differed when it came to treating these conditions. I asked the nurses what preventative measures there were for dengue fever. They told me that patients were advised to wear repellent and long-sleeved clothing. During my second week, I spent time in OBG. It was a chance to see things I’d never seen before, and I loved it. 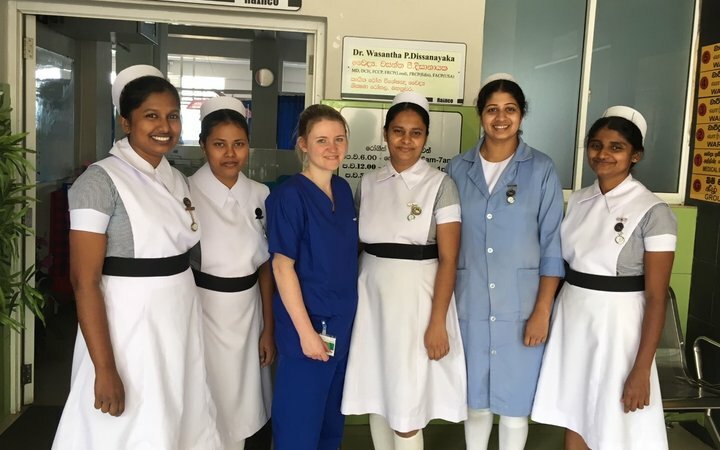 I met Sri Lankan medical students, doctors and nurses who all enhanced my learning. I even observed medical history taking. I observed one patient who presented symptoms of preeclampsia, and it was arranged for her to have an emergency C-section. On theatre days I observed C-sections; a gynae surgery called the ‘Manchester operation’. I spent a day in a lactation management centre where I met mothers who had problems breastfeeding. One mother had given birth to triplets at 27 weeks. Sadly, one of her babies died. Her twins were at two months old, but they were tiny! At weekends we explored Sri Lanka. On our first weekend we went to the beach at Kalpitiya and to Wilpattu National Park for the day. In the national park we watched elephants patrol around the lake, spraying water over themselves. We saw lots of other animals too, like birds of prey and lizards. 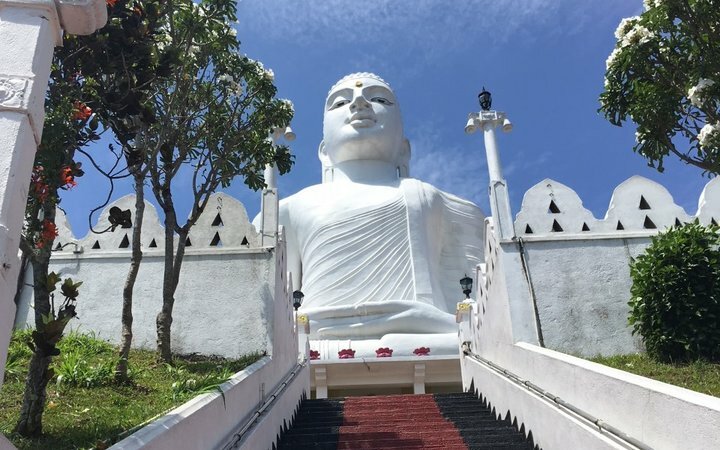 Exploring Sri Lanka’s cultural triangle was high on my bucket list. We visited the ancient cities of Anuradhapura, Polonnurwa, Dambulla and Sigiriya. We visited ancient ruins, Buddhist monasteries, and a number of beautiful stupas. In Sigiriya we climbed the steps leading to the top of Lions Rock. We were rewarded with breathtaking views, and I loved the history behind the rock and fortress that it once was. On another weekend we climbed Adams Peak and then went to Trincomalee. It was beautiful there, and our hotel was on a paradise beach—clear blue sea and white sand. In the afternoon we travelled across to Pigeon Island. We went snorkelling around the island, swimming with exotic fish that I had never seen before. I also saw a turtle and a small shark! The next day, we walked to Fort Frederick and visited Koneswaram Temple the Hindu temple on top of the fort. There was always something to see or do in Kandy. The Royal Botanical Gardens were beautiful. There were a variety of plants species ranging from boreal trees to Burmese Bamboo. We also visited the Temple of the Tooth, and learnt about local Buddhist history. It’s said that the Buddha’s tooth is kept here. The White Buddha is incredible. There were spectacular views from the top. We could see right across Kandy. One afternoon a Sri Lankan Medical student kindly showed me around the University of Peradeniya. The campus was beautiful and I remember seeing a willow tree with striking yellow blossom. We also watched traditional Kandyan Dancing accompanied by traditional drumming. I would absolutely recommend Sri Lanka. I loved it all. There will always be a place in my heart for this country.